You spend a lot of time talking with people every day, but how much time do you spend talking to your doctor – the person who can best help you manage your health? Chances are, you get to spend only a handful of minutes at a doctor visit actually visiting with your doctor! Make the most of your visit by taking control of your own health care. Start by scheduling your $0 copay annual physical and wellness visit. * Yes, $0 copay, because it’s part of your plan. Make this visit early in the year to give yourself a good, healthy head start. Then make sure you’re prepared for the visit with key questions, medications and health information. That way, you can make the most of each minute with your doctor. You can spend that time working together to make a plan for healthier living throughout the year. * Covered at a $0 copay when you see an in network doctor. A copay or coinsurance may apply to additional services received at the time of your visit. While the Affordable Care Act has ushered in an era of major-medical health insurance being available to most people in the United States, there’s still a role for Short-Term Medical (STM) insurance for those without a major medical plan. STM insurance provides coverage for periods from 30 to 360 days. It’s generally used as a stop-gap measure to prevent being totally uninsured while you’re between major medical policies. You might use it while between jobs, while waiting for open enrollment on your state’s health insurance exchange, after you’ve enrolled in a major medical plan but you’re waiting for that plan to take effect or to bridge a few months between retirement and Medicare. STM policies aren’t renewable; you’re covered only for the stated time frame, and then the coverage ends. Short-term policies are not ACA compliant plans.So unlike an ACA plan, a STM plan isn’t bound by an open enrollment period. However, STM policies will be subject to underwriting. Not only does this mean you might be refused a policy if you’re a bad risk, it also means the policy you’re offered may exclude coverage for preexisting conditions and have a maximum pay-out limit to the benefits. It also means the plan is not required to cover all of the ACA’s essential health benefits like preventive, mental health or maternity care. This also means that STM plans do not satisfy the ACA’s mandate for individual shared responsibility. Therefore, you may be required to pay a tax penalty for being uninsured even though you have a STM policy. Because STM plans have more restrictive benefits and insurers can limit their risks with good underwriting, these policies can be less expensive than an unsubsidized major medical plan. These plans can usually be tailored to fit your needs and budget by choosing from different deductibles, coinsurance levels and even adding riders for accident or critical illness. For help determining if a Short-Term Medical plan is right for you, give one of our agents at Ohio Health Benefits a call. Its driving down the cost of care! In the face of ever rising costs for health insurance premiums, more and more people find themselves enrolling in High Deductible Health Plans (HDHP) as a way to reduce their benefits cost. This results in increased exposure for out-of-pocket risk related to meeting these higher deductibles. Unlike traditional health plans, most HDHPs don’t offer the flat dollar copays with which people are accustomed. It is both shocking and financially burdensome to suddenly find yourself paying full price for health care services. A troubling side effect of this is that individuals may not seek appropriate care for fear of the out-of-pocket expenses they’ll face. One way in which people are averting the higher out of pocket costs without compromising their health is through the use of Telemedicine programs. You may have heard of Telemedicine, the use of electronic communication to exchange medical information either from patient to physician or between doctors. Did you know that in addition to helping to solve health care access problems, it’s also driving down the cost of care? While Telemedicine is not new, advances in technologies and the Affordable Care Act’s (ACA) focus on efficient and cost-effective care have helped reshape this approach to health care delivery. Telemedicine now does more than just connect remote patients to medical providers. Today, Telemedicine puts any subscriber in touch with a U.S. board-certified physician in their state to treat common ailments such as colds and flu, sinus infections, allergies, pink eye, etc. Telemedicine gives the patient direct access to a doctor 24/7/365. The consultation can take place by a phone call, email or a web-based video call, and may include discussing symptoms, treatment options and prescriptions. Telemedicine consultations are a supplement for non-emergency treatment and visits to a primary care physician. And best of all, Telemedicine helps make health care fast and affordable. Unlike an urgent care center, doctor’s office, or emergency room, there is no waiting for an appointment in a room full of other sick people. Telemedicine has been found to be an efficient route to care – 93% of patients find their issues were resolved with a virtual doctor visit. 1When appropriate, the consulting doctor can prescribe a medication and send the prescription to the patient’s preferred pharmacy electronically. This program can often eliminate visits to a primary care doctor, urgent care center or ER and the high costs associated with those visits which can save the consumers a significant amount of time, money and frustration. While Telemedicine can’t be used to treat all conditions and isn’t supposed to fully replace your primary care physician, it’s an extremely useful tool in receiving care related to common or seasonal illnesses that can be easily diagnosed. Compared to the average office or urgent care visit, Telemedicine is a fraction of the cost. The cost of the actual consultation can be FREE with program pricing from just $9-$15 per month. Ohio Health Benefits has partnered with the Telemedicine provider HealthiestYou. 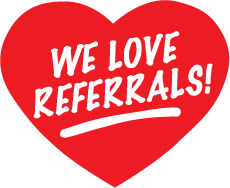 Give us a call to schedule a meeting to discuss the benefits, costs and anticipated savings with a Telemedicine program or visit our website at: www.ohiohealthbenefits.net. 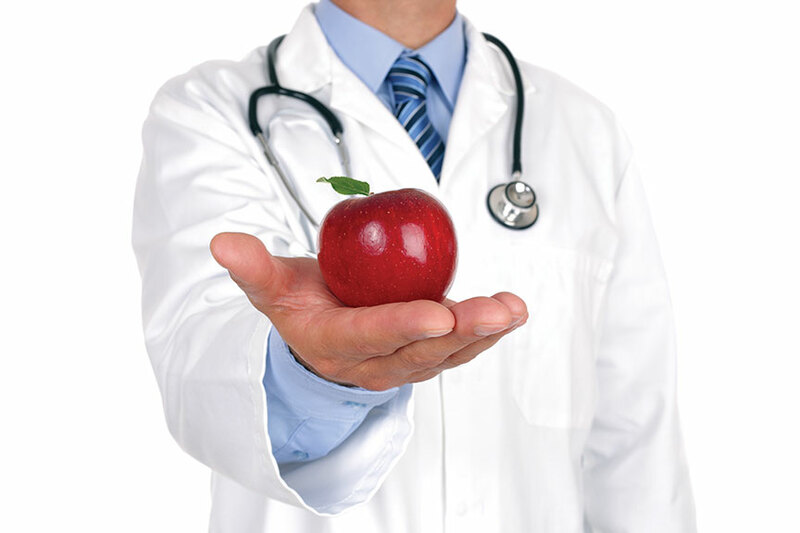 That is a question many people ask when considering whether to see a certain doctor . The answer may not be as simple as Yes or No. That’s what Hannah Morgan learned when her hus­band needed surgery to remove his appendix. When they met with the surgeon at the hospital ER, Morgan asked whether he was in the provider network for her policy. The surgeon assured her that he was. When she got home, Morgan confirmed this by us­ing the online provider search tool for her plan. But the surgeon’s services were billed at out-of-network rates, leaving the couple on the hook for $747. The surgeon’s office later told her that he belonged to two different medical groups and only one was in the network. Following multiple phone conversations with the surgeon’s office and the insurer, the in-network rates were applied and the bill shrunk to $157. Using out-of-network providers can rack up huge bills. HMO’s generally don’t cover any non-emer­gency services provided by physicians or hospitals outside the network. PPO’s typically do cover out-of-network services, but pay a smaller percentage of the charges. Out-of-network services may have higher deductibles and higher out-of-pocket maximums as well. Figuring out in-network providers may not be straightforward. “Physician groups can be in network even though individual physicians in that group may not be,” says Susan Pisano, a spokesperson for America’s Health Insurance Plans. That situation might occur if some of the physicians in a medical group agreed to accept the rates negotiated with an insurer, but others did not. The physi­cians who didn’t accept the network rate would be out-of-network for a patient. In addition to confusion about doctors who are part of more than one practice, consumers may also run into billing trou­bles if their doctor operates practices in different locations and accepts different insurance plans at each. If the physician’s office submits the paperwork to the insurer with the information for the wrong office location, the patient may get hit with an out-of-network charge. In that case, the patient may have to contact the doctor’s staff and ask them to resubmit the charges through the other practice. Adding to the confusion is the fact that even if a physician is in a consumer’s in­surance network, the hospital or clinic she works at may not be. When undergoing a procedure or treatment, the patient could get hit with out-of-network facility and other charges. When you are in need of medical care, you shouldn’t have to worry about sorting through provider lists and formularies. As your agent, we are here to help with those things. We are already very familiar with the networks and are experts in deciphering the lists. And in the event that you find yourself with a bill that doesn’t seem right, we are go­ing to help you get a resolution. When you reach out to us, we communicate with the carrier so you don’t have to. To read the complete Summer 2015 Newsletter click here. A Special Enrollment Period (SEP) is a time when you’re allowed to make changes to your health insurance plan or enroll in new coverage even though it’s not an Open Enrollment Period. Under normal conditions, you are not allowed to sign up for health insurance or make any health plan changes except during the annual open enrollment period. However, certain qualifying events will trigger a special enrollment period allowing you to make changes for a brief time period (usually 60 days). What Qualifying Events Trigger a Special Enrollment Period? What do you do if you’re eligible for a Special Enrollment Period? If you, or someone you know, may be eligible for an SEP, you simply contact Ohio Health Benefits for assistance. We handle everything from applying for the SEP, choosing the right policy and even determining if you are eligible for a Premium Tax Credit (subsidy) to help pay the plan’s premiums. 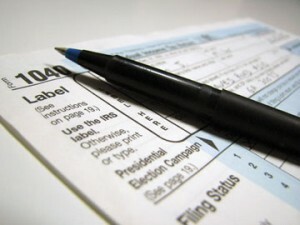 Your adjusted gross income affects how much of a subsidy you will receive. an HSA (Health Savings Account). Money can be used from the HSA to pay for qualified medical and dental expenses. You can set up an HSA account at your local bank, and any contributions to the HSA are a tax deduction therefore reducing your adjusted gross income. HSA holders in 2014 can choose to contribute up to $3300 for an individual and $6550 for a family (HSA holders 55 and older get to contribute an extra $1000 which means $4300 for an individual and $7550 for a family) – and these contributions are 100% tax deductible from your gross income. To read the complete Spring 2014 Newsletter click here. Who should (and who should not) use a retail clinic? Most people can’t tell the difference between a retail clinic and an urgent care clinic and therefore can’t tell which one is better for them. Urgent care clinics treat patients that have an illness or injury that require immediate attention but is not life threatening. So are retail and urgent care clinics the same thing but have different names? Actually, no, they happen to have many differences for the patient. For starters, most retail clinics are located inside retail/grocery stores, whereas urgent care clinics are usually free-standing in a less crowded setting. Another more meaningful difference relates to staffing. Retail clinics are staffed mainly by a physician assistant or nurse practitioner. A doctor typically serves as a clinic supervisor and is available for phone consultations and performs routine chart reviews but is not required to be physically present at the clinic. 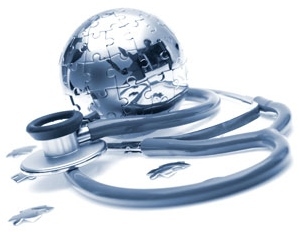 Therefore, the care is provided by non-physician providers all the time. And while these providers are well trained and appropriately qualified to treat minor ailments, their scope of practice is obviously not as wide as that of a primary care or family doctor. Therefore, the important question is who can they and who can’t they treat? Retail clinics can treat only minor illnesses such as allergies, bladder infections, bronchitis, ear infections, flu, pink eye and styes, sinus infections, strep throat, minor skin infections and rashes, poison ivy and shingles. Urgent care centers, on the other hand, have at least one physician that is present at the clinic all the time, even though care can be delivered by a physician assistant, nurse practitioner or nurse. Urgent care centers can treat these same minor conditions, in addition to more serious conditions such as sprains, strains, lacerations, contusions, back pain, fractures and even minor surgeries. Moreover, retail clinics treat children only 18 months and older, whereas urgent care clinics can treat all ages. So if you have a major but non-life threatening condition, you are better off at the urgent care center. However, if you only have a minor thing, and have the choice, you can be seen much faster at a retail clinic where average wait times are 15 minutes. If you have a complicated medical history or currently suffer from a chronic health condition such as heart disease, diabetes, cancer or asthma, chances are the providers at the retail clinic may not be able to treat you. The reason is they don’t have complete access to your medical file and your conditions are outside the scope of their practice. Moreover, these clinics are not designed to provide a long-term treatment and follow-up plan. In this case, your best bet is still your regular doctor, an urgent care clinic, or the Emergency department. If you are traveling and have a Medicare HMO, you will more than likely have to pay the full retail price if you go to a retail clinic. However, an urgent care center would be covered with a $45 copayment. We recommend that you use your regular doctor’s care or urgent care facility first and retail clinics if necessary. So don’t be tempted just because a new MinuteClinic has opened around the corner. Most health insurance plans that existed on March 23, 2010 are eligible for grandfathered status and therefore do not have to meet all the requirements of the health care law. But if an insurer or employer makes significant changes to a plan’s benefits or how much members pay through premiums, copays or deductibles, then the plan loses that status. 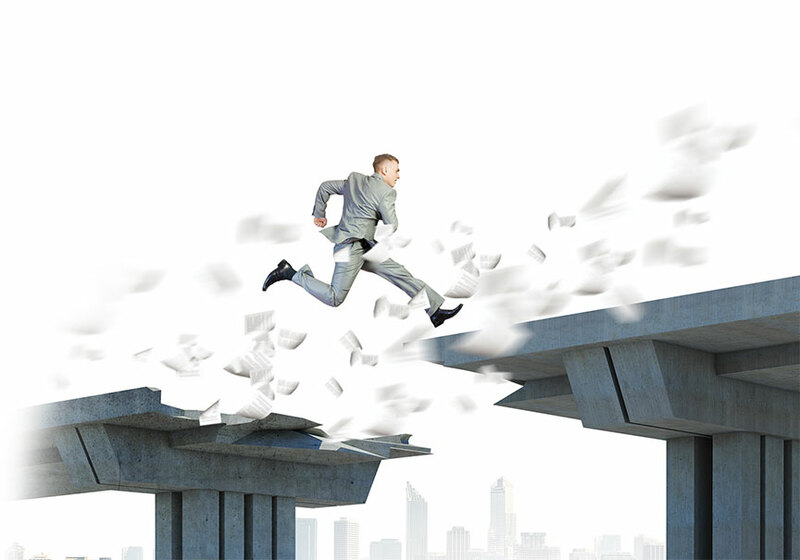 What rules does a grandfathered plan have to follow? A grandfathered plan has to follow some of the same rules other plans do under the ACA. For example, the plans cannot impose lifetime limits on how much health care coverage people may receive, and they must offer dependent coverage for young adults until age 26. They also cannot retroactively cancel your coverage because of a mistake you made when applying, a practice known as a rescission. However, there are many rules grandfathered plans do not have to follow. For example, they are not required to provide preventive care without cost-sharing and can still impose annual dollar limits. In addition, they do not have to offer a package of “essential health benefits” that individual and plans must offer beginning in 2014. Most people have already lost their grandfathered status due to various reasons. Ohio Health Benefits can review your plan to identify if you are or are not still grandfathered and help recommend if you should maintain this status. What are “Essential Health Benefits”? What are Metallic Levels of Benefits? PPACA defines four metal tiers of coverage for purposes of the essential health benefits package: Bronze, Silver, Gold, and Platinum. There is also a catastrophic level of coverage. PPACA requires all plans issued in the individual and small group markets, both in the Exchange and outside of the Exchange, to meet the actuarial standards of one of these metal tiers of coverage or catastrophic coverage. To participate as a qualified health plan in an Exchange, PPACA requires, among other things, that such plans offer, at a minimum, coverage at the silver and gold levels of coverage. Catastrophic only: allows for a separate catastrophic-only policy which would provide the essential health benefits package. The plan must offer coverage for at least three primary care visits. Individuals eligible for enrollment must not have attained the age of 30 before the beginning of the plan year. To view the complete Ohio Health Benefits Summer 2013 newsletter click here. A marketplace for consumers to buy their own health insurance. A health insurance exchange as required by the passage of the health care reform bill will be a marketplace for consumers (non-Medicare) to go who are required to buy their own health insurance. The federal government run shopping website will offer private insurance company plans described as levels such as Gold, Silver and Bronze. The health insurance exchanges should be up and running by the fall of 2013 with coverage beginning on January 1, 2014. Private insurance companies will create plans to match the benefits required by the government who will also set price guidelines. The individuals who will be subject to purchasing through the exchange will be those not covered by an employer plan as well as those people who have their own individual plan now that is not “grandfathered”. In addition, all other people who do not currently have health insurance will be required to purchase through the exchange or face a penalty (now defined as a tax). People who purchase through the exchange can’t be declined or charged a higher premium based on pre-existing conditions and what you pay will be determined based on income. Although it is expected that the rates on the policies sold through the exchange will be higher than current rates, many people will get help from the government to pay their premium. The cut-off for subsidies looks like it will be 400% of the federal poverty level. To view the complete Ohio Health Benefits Fall 2012 newsletter click here. 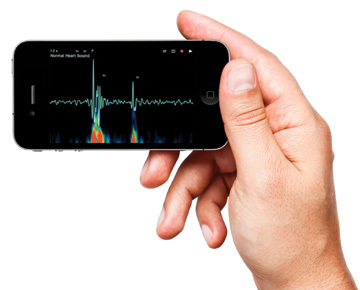 Apple iPhone 4 with Medical App showing the Thinklabs Electronic Stethoscope application screen. The digital revolution will create better health care while radically empowering patients and consumers. Dr. Eric Topol, distinguished cardiologist and author of ‘’The Creative Destruction of Medicine,’’ lays out his vision for how people will start running common medical tests, skipping office visits and sharing their data with people other than their physicians. Dr. Topol, a cardiologist at the Scripps Medical Institute in La Jolla, Calif., is already seeing signs of this as companies find ways to hook medical devices to the computing power of smartphones. Devices to measure blood pressure, monitor blood sugar, hear heartbeats and chart heart activity are already in the hands of patients. More are coming. Source: Wayner, Peter. 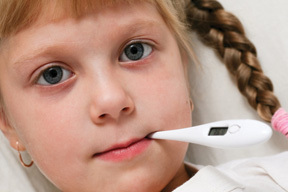 “Monitoring Your Health with Mobile Devices.” Focus News 29 Feb. 2012: 1-2. 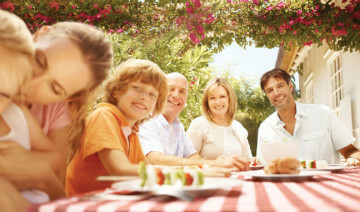 To view the complete Ohio Health Benefits Spring 2012 newsletter click here.